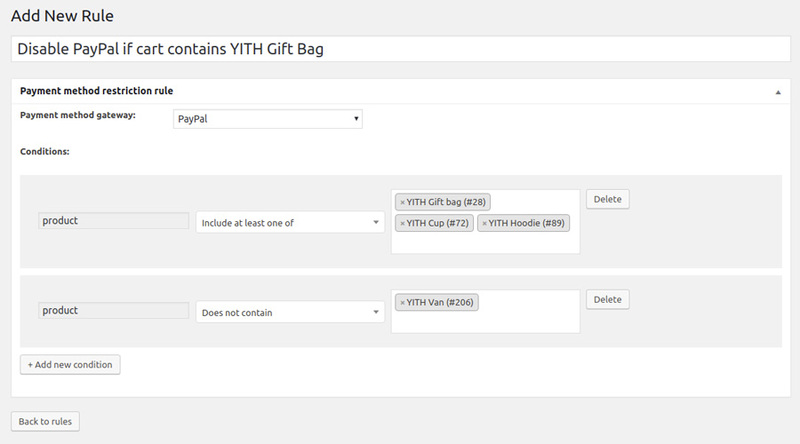 In order to create new restriction rules on the gateways you’ve enabled, go to the plugin admin panel in YITH Plugins > Payment Method Restrictions and click on the Add new button. Select the payment method that you want to exclude (if bank account is selected, the plugin allows switching automatically to another BACS account if the conditions are fulfilled. Read more about this feature here). 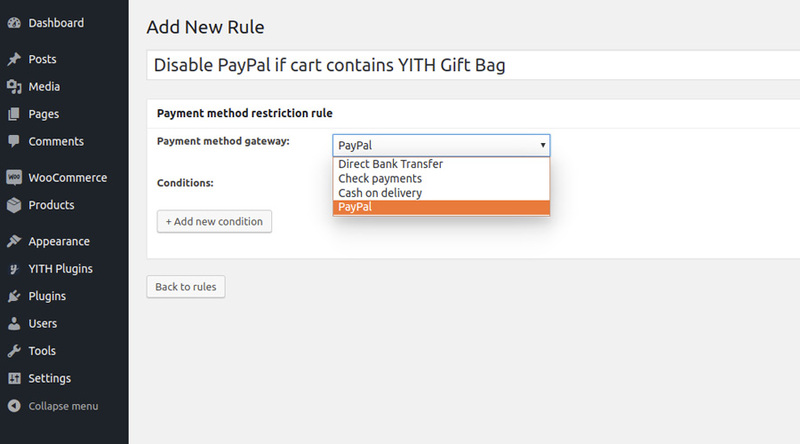 Add one or more conditions to the rule: the selected payment method will be removed from checkout only if all the conditions set are fulfilled.